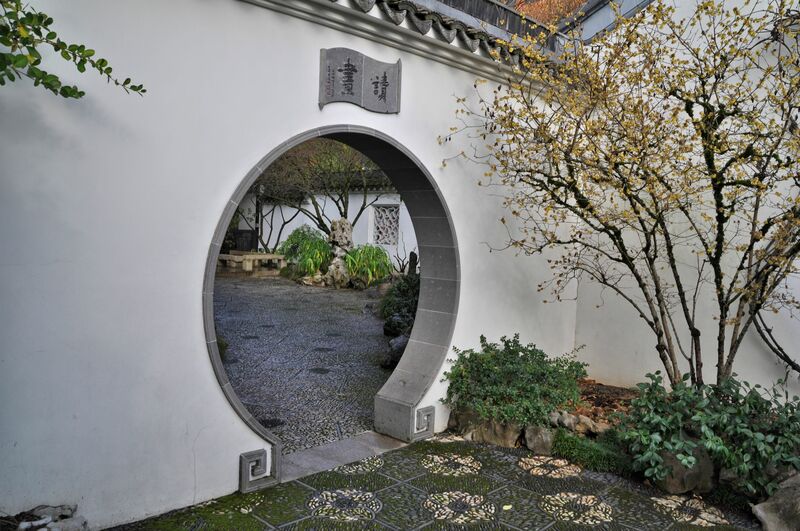 You are currently browsing the tag archive for the ‘Lan Su Chinese Garden’ tag. 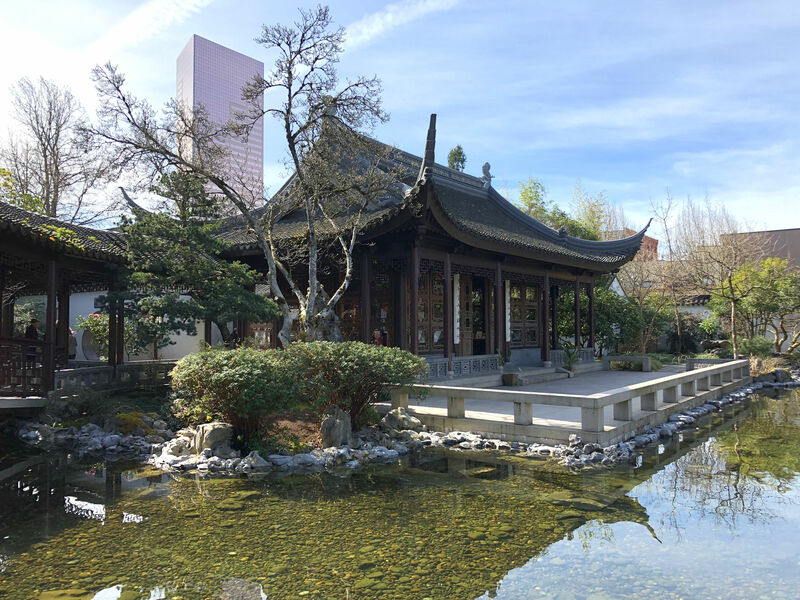 Lan Su Chinese Garden in downtown Portland. 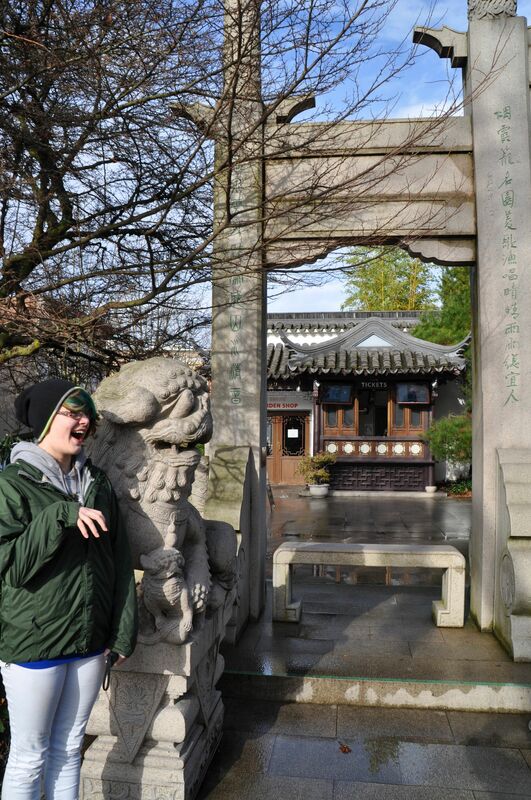 In Old Town Portland, Chinatown has lost most of its character from bygone days. Its in the oldest part of the city of Portland. After multiple attempts to revitalize this area and emphasize the Chinatown aspect, it remains small and quiet. 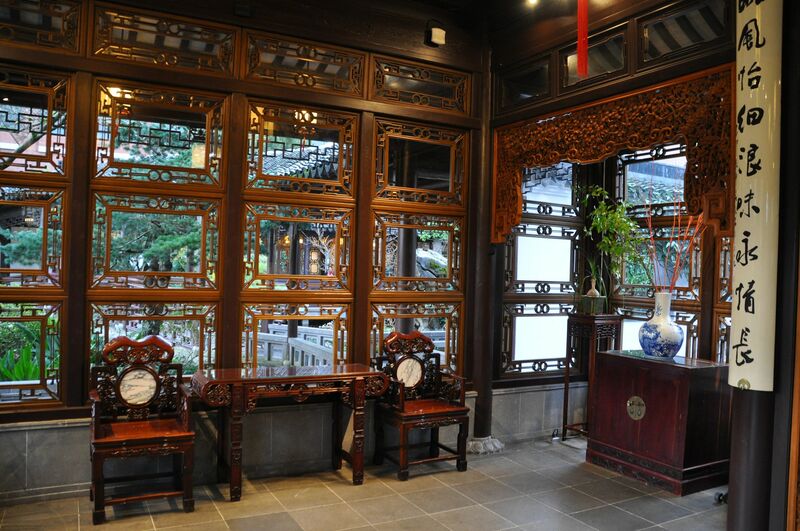 However, there is one vibrant and much-visited place: Lan Su Chinese Garden. This is my last post on stuff Will and I did together. We had two weeks to enjoy the Pacific Northwest and now he’s far away in Rhode Island again. 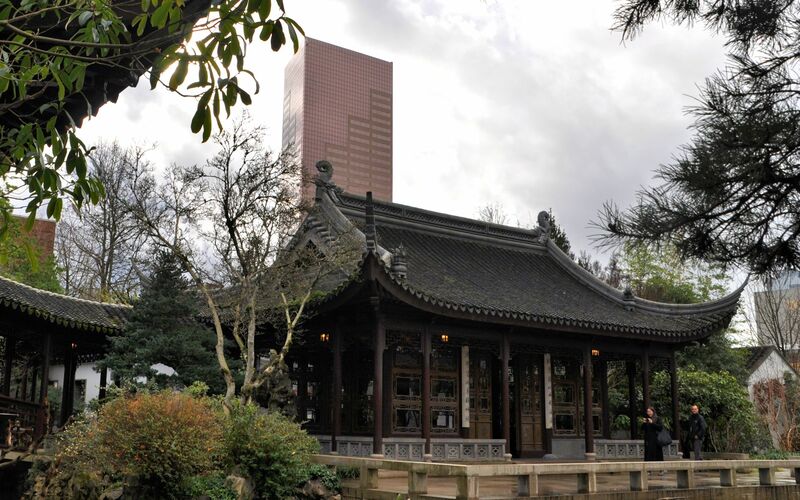 The name Lan Su is formed by combining the name of two sister cities: Portland and Suzhou, China. 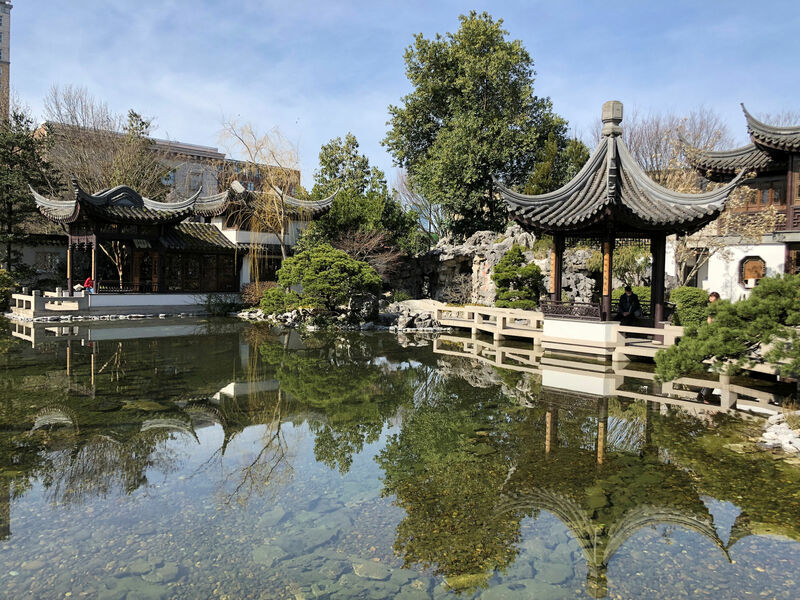 Suzhou is famous for its gardens, and Lan Su was built by Chinese artisans from Suzhou and is one the most authentic Chinese gardens outside of China. But of course, care was taken to choose words that have another meaning, and “lan” means orchid, and “su” is arise, or awaken. Admission is $10.95 with discounts for students and seniors. A ticket gets you into any event happening in the garden for the entire day, to include guided tours and cultural events. 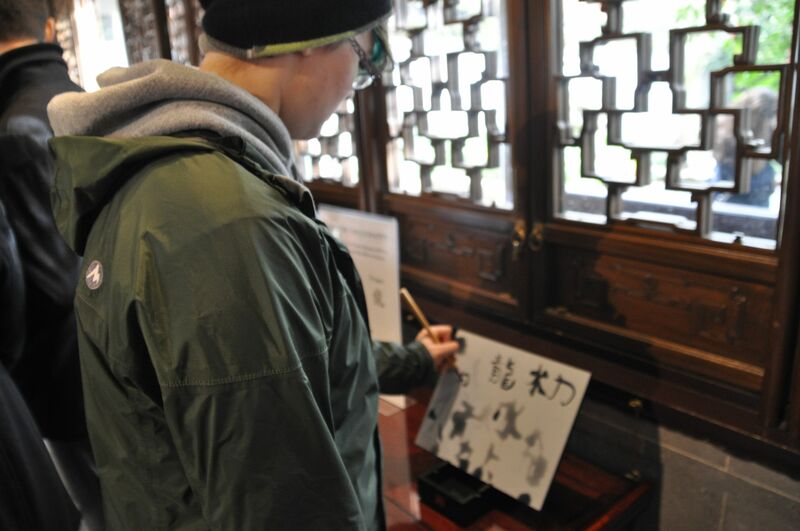 There are classes to teach Chinese games, live music in the teahouse, calligraphy and poetry demonstrations and classes. All of this is in the center of a bustling city that somehow you forget while you’re inside. The design is so well done that from inside the garden you can hardly see the buildings outside, and you honestly cannot hear much of the street noise. Skyscrapers are barely noticed from inside the garden. Instead, I noticed the architecture inside, the variety of plants, and the peacefulness of the setting. I carried a laminated flower guide with me into the garden, that was provided as we entered. 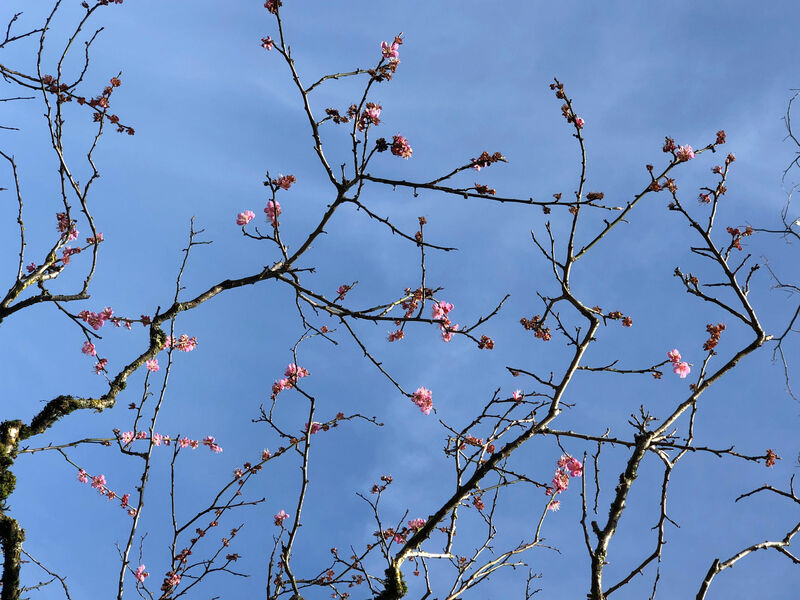 I thought with the early season that I would be lucky to find any of the blossoms. To my surprize and delight, I found almost every single blossom in the brochure. It was like a game to find them all, and the added bonus was a reminder that Spring is really on its way. Lan Su also provides plant-specific tours for both home gardeners and professionals in the fields of horticulture and botany. Blossoms were small, and few, but unmistakably all over the garden. This garden was created with an extraordinary attention to detail, with symbolism tucked into every viewing angle, and poetry all around. If you wanted to zip through in 15 minutes and get a good look, it would be easy, as the place occupies a single city block. However, if you wanted to spend your entire afternoon there, followed by evening tea, that would also be reasonable, as the longer you gaze out across the waters, or through the branches, the more you see. Symbolic fish, peaches, and bats adorn the top of one building. Weak spring sunlight highlights early buds. For many more photos, from a trip to the garden in 2015, please see my other Lan Su blog post. 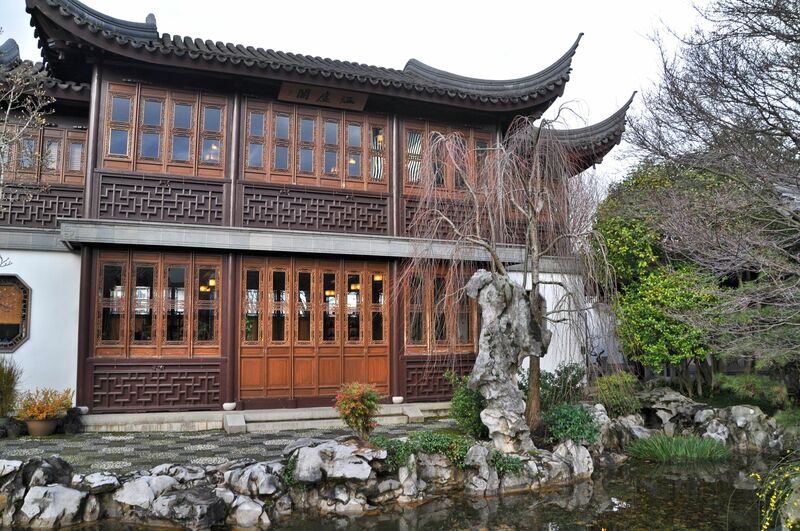 Right in the middle of Chinatown (but of course), Portland boasts the lovely Lan Su Chinese Garden. There is bounty for the senses in this carefully arranged space. Occupying the land of one city block, it doesn’t look like much from the outside, and that makes the experience even more remarkable when you step inside. This is a view of the gardens from the street outside. 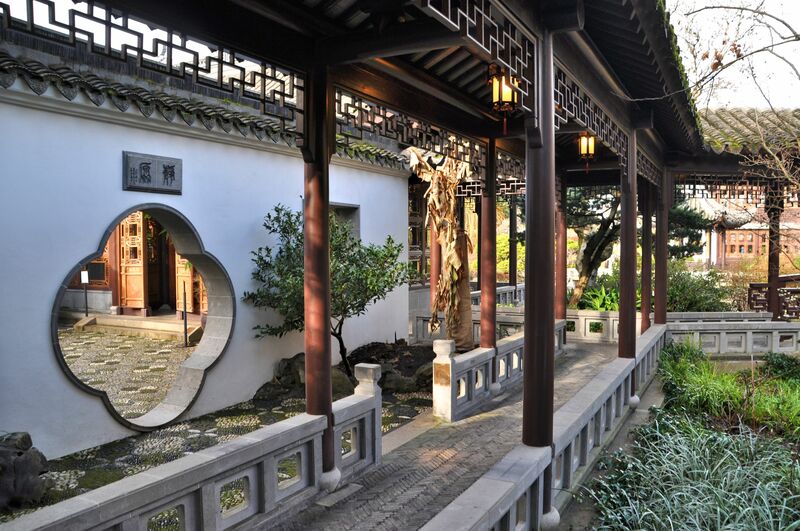 This authentic Chinese garden is so well designed that it is restorative simply to be there. A boat rests in a clump of vegetation, and shelters fish in its shadows. 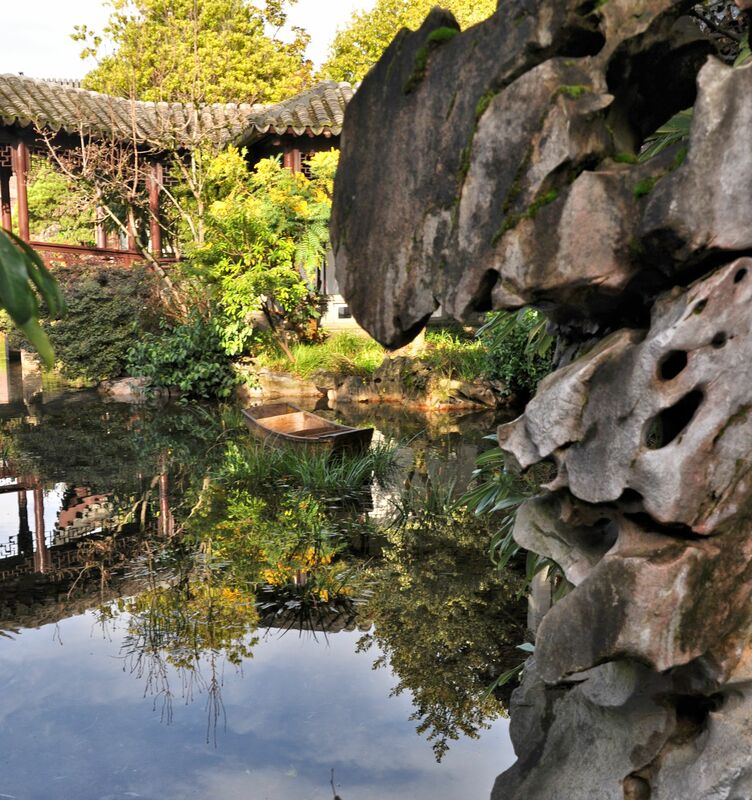 Portland’s sister city is Suzhou, famous for its gardens. 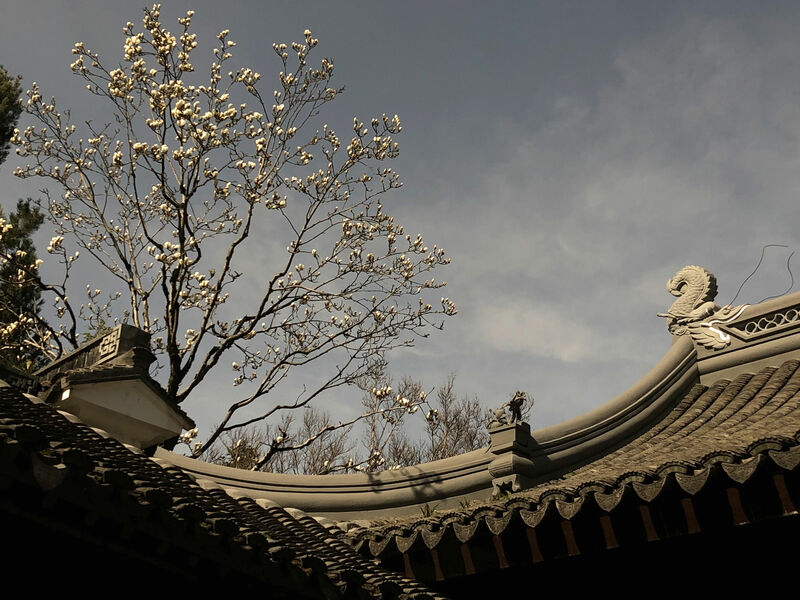 Sounds from the word Portland and Suzhou were taken to form the name Lan (orchid) Su (arise/awaken), so the name of the garden can be poetically interpreted as Garden of Awakening Orchids. 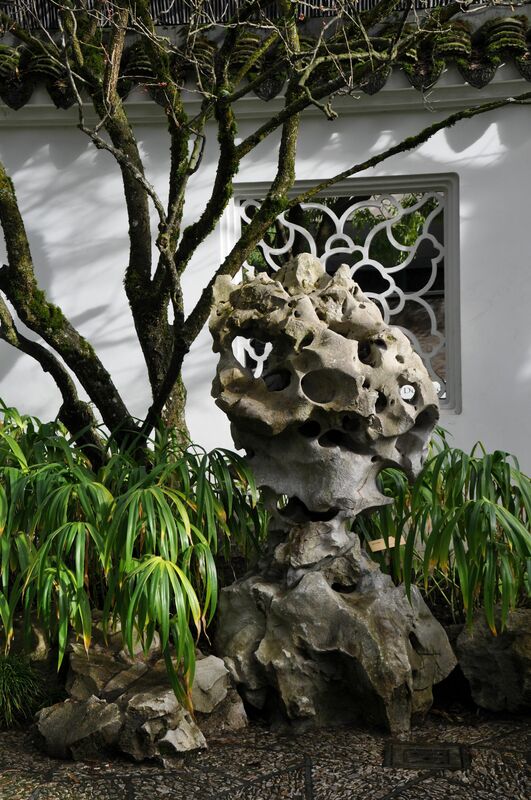 It was completed in 2000 by professional artisans from Suzhou in only 10 months, using materials that came primarily from China (including all that rock – wow!). It’s surprising how much of the city outside disappears once inside the garden. 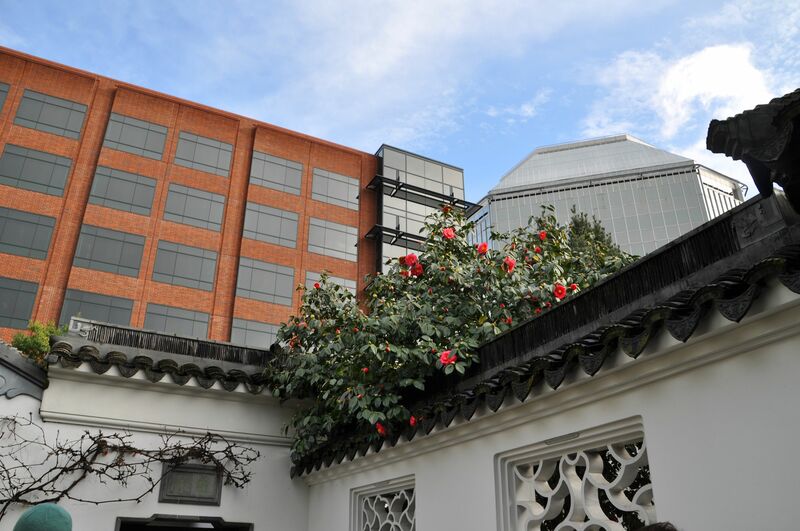 From the scholar’s courtyard I could see camellias and tall buildings. The drip tiles display five bats representing the five blessings of long life, fortune, health, a love of virtue, and a painless passing. We arrived just as a tour was beginning, so we followed the group on stone-paved paths beneath covered walkways and through courtyards and buildings. When the tour was over we continued to wander wherever our fancy took us. After some time the sky darkened and the rain fell harder, and we stepped into the tea house. 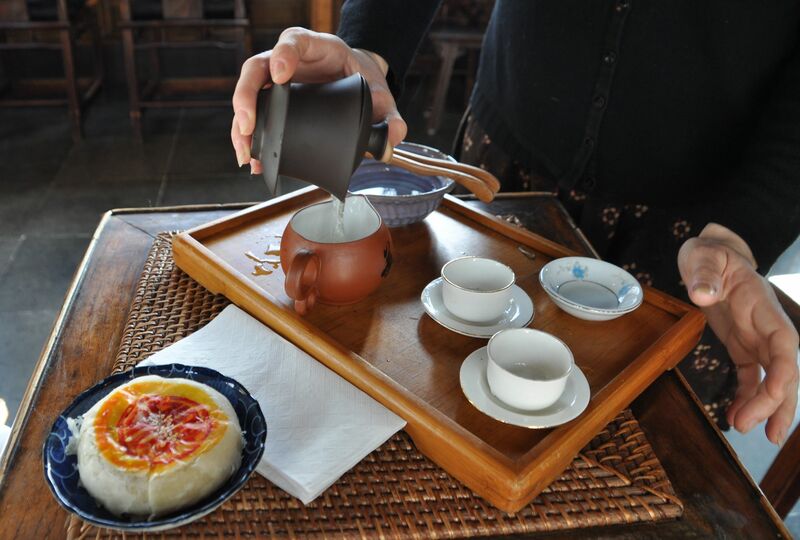 We were able to select from a large menu of teas which was brought to us in a tea service. After we were shown how to properly use the tea service, we were left to enjoy it. Tara ordered a moon cake, and we shared that. The sweetened bean paste reminded me of the bean paste desserts I had in Japan. The inscription above the moon door reads “Listen to the Fragrance,” encouraging us to use our senses in new ways. 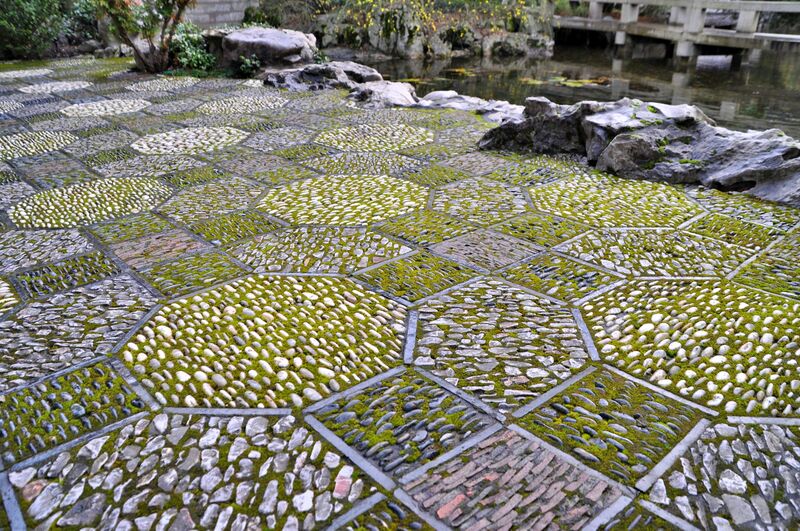 The stone tiles are particularly remarkable throughout the garden. The pattern changes to suit each section. Tara practiced calligraphy with water on a stone. A skyscraper towers above the Hall of Brocade Clouds. 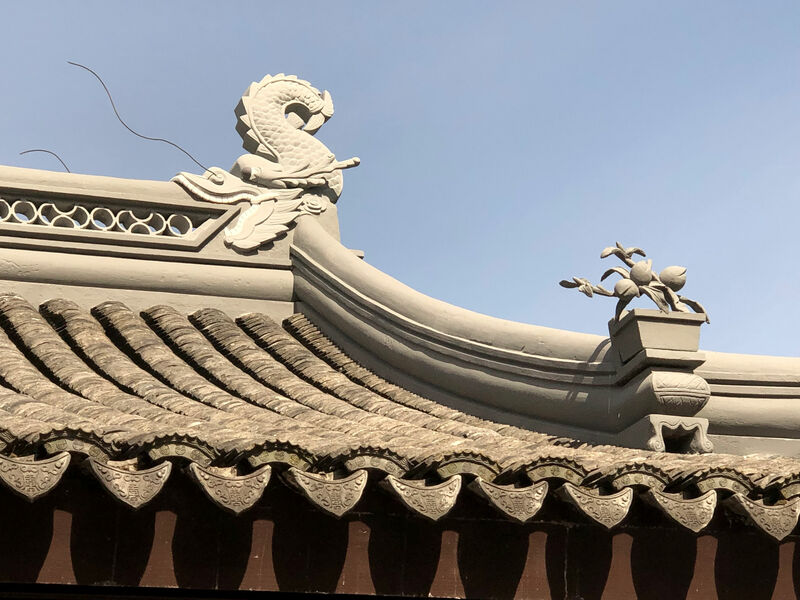 Attention to detail is rich in every part of the garden, including the insides of the buildings, constructed to represent the types of structures found in the actual garden of a wealthy family. 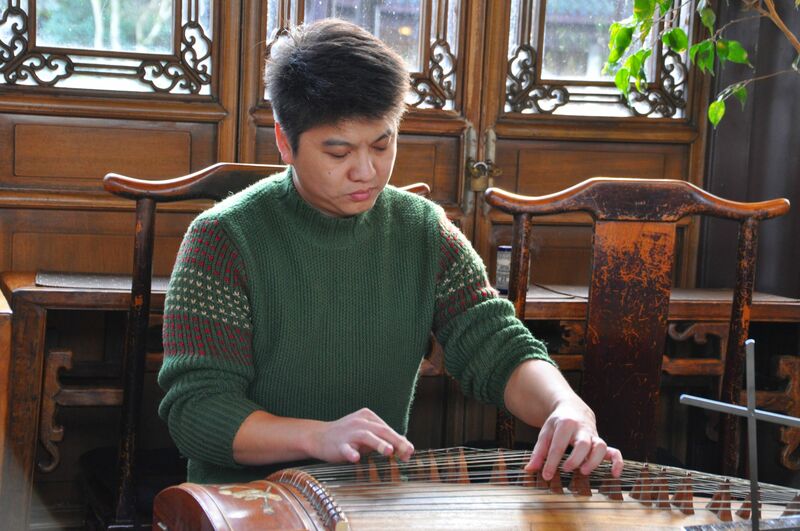 This musician played for everyone in the tea house. It was a good way to share the day with with my child, and I’m so glad I have a teenager who was actually excited to come here and couldn’t wait to eat a bean cake. Tara is so very different than who I was at age 17, and I am in awe of that wonderful person. Tara poses with the lion at the entrance to the garden.